On a pouring Saturday night in London, Anthony Joshua suffered strife and delivered drama before triumphing at last via seventh-round knockout against Alexander Povetkin at Wembley Stadium. All of Joshua’s bouts since his coming-of-age against Wladimir Klitschko in April 2017 have ended in success but have been lacking in tension—until this one. Povetkin was unable to wrest Joshua’s several belts away from him, but he accomplished much in the trying. Then Joshua, nose busted and bloodied by a counterpunch in the first, swatted him aside. September can be a bitter time for fighting outdoors in London, and so it proved on Saturday night, after a forecast storm kept to its promises and dumped great buckets of rainwater all over the city’s streets. 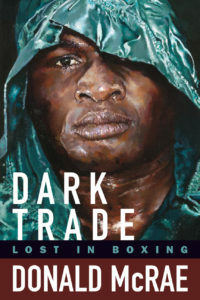 “I feel loads of pressure, tons of pressure,” Joshua had said in an unusually candid interview with the BBC in the week before the fight—and he would have been forgiven for finding in the deepening gloom a bad omen or an evil star while in such a ruminant mood. Only when the hooded Russian Povetkin began to make his way to the ring in plastic galoshes through puddles and boos did the rain finally seem to abate. Joshua, 22-0 (21), entered in bright white next, to flames and kitsch. 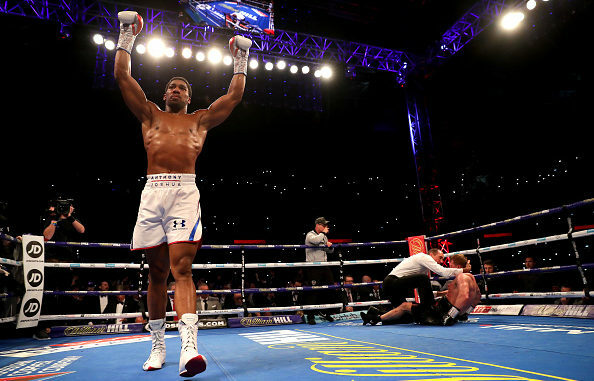 This was the first time since beating Klitschko that Joshua has not managed to sell out a stadium, the 15,000 or so empty seats attesting to a widespread belief that Povetkin, like Carlos Takam and Joseph Parker before him, would stand little chance against the heavyweight champion. If Takam and Parker were not quite sacrificial lambs before the almighty “A. J.” they were still less than meaty propositions. The former fought gamely last October but without hope of victory, while a combination of Parker’s unthrilling wiles and Joshua’s apparent distaste for blood dragged their frigid duel out for twelve dull rounds in March. Joshua is the biggest sporting star in Britain bar none, but he still needs to fight live bodies. Despite much greater pedigree, Povetkin was given an equally slim chance at the upset. In the event, it quickly appeared that the thirty-nine-year-old Russian had been unfairly maligned. By no means anyone’s idea of a small man, Povetkin resembled a character from Walter de la Mare’s Memoirs of a Midget by comparison with the toweringly Adonic A. J. when they finally met in the center ring. Yet the brooding Chekhov-based fighter immediately set about his task with impressive fervor, biding his time on the outside impassively before shuffle-springing himself into range whenever he spied an opening. Povetkin made the crowd, already damp, quiet, too, when he punctuated the first round by buzzing Joshua with a hook and uppercut in its last seconds. When the second started, Joshua’s bloodied nose bore the signs of a violence that had hardly been foreseen. By now the Londoner must have known he was in for a more active night than against Parker. Povetkin, 34-2 (24), continued to bust him up in the second, working Joshua to the body then cracking him overhand with a right to the head when he got in close. Joshua came out for the third with his left hand slung in what seemed a counterintuitively low starting position, given the success Povetkin had enjoyed already coming over his left shoulder. But Joshua had figured wisely that the Russian, who dips low only when he enters punching range, would be easier to hit by bringing the left jab up rather than down. Soon Povetkin found himself being tipped off balance with greater regularity, as Joshua started to jab to the body as well as the head. By the fourth round Povetkin, too, had been bloodied and cut. Gradually Joshua entered more and more into the ascendancy, yet without looking quite like the gunslinger of previous years. If he seemed more interested than he had been against the desultory Parker then he still seemed less willing to risk himself for violence than he had against Klitschko. Yet before the night was out Joshua would prove that his killer instinct is neither diminished nor dimmed. Having taken control by the sixth, Joshua had reduced Povetkin’s periodic output to almost sheer randomness without quite troubling his chin. But when he caught a felicitous whiff of blood in the seventh Joshua suddenly pounced. Still working Povetkin with his jab, out of nowhere A. J. landed suddenly with a firm straight right that would shake up the Russian, then send him reeling backward. No longer needing to tarry, Joshua would lurch forward to crack Povetkin with an even bigger right that would crumble him to the canvas. The Russian made it to his feet via the rope and his cornerman, but his legs by now were mere decoration—all Joshua had to do was flurry once more with murderous intentions to collapse Povetkin for good. That would be that. Afterward, Joshua made clear his willingness to fight either Deontay Wilder or Tyson Fury without quite making clear the likelihood of such a bout. Wilder and Fury will meet on December 1 to decide the second-best heavyweight in the world. A rematch with Dillian Whyte, also with Matchroom Boxing and recently a thin victor against Parker, seems the likeliest option for Joshua’s next date at Wembley in April 2019. For Povetkin, there will be a hard road to renewal at nigh forty if he is to win another title belt at heavyweight. The division is now in better health than it has been for many years, during which time Povetkin’s prime has surely slipped him by. He is still an able fighter but unlikely to do better than contend. Joshua left as he arrived, looking cool and collected—his fists still the bearers of a terrible violence that leaves almost no trace.